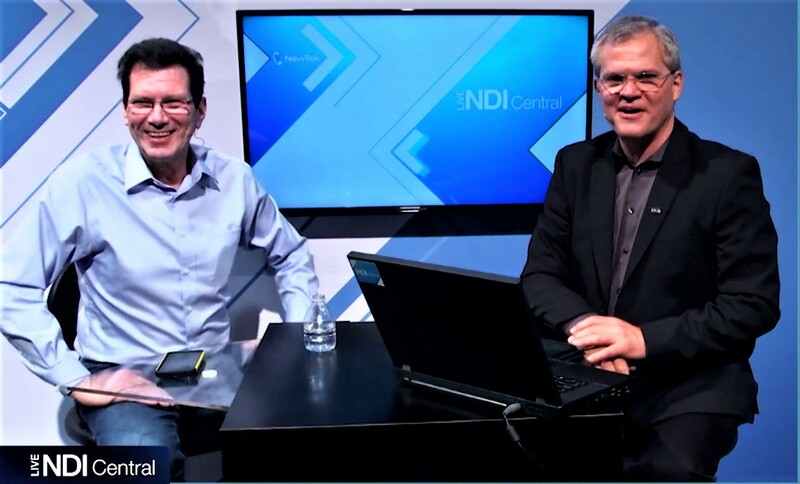 Rex Olson interviews work-at-home weatherman Geoff Fox on the NAB 2017 NDI Central Live Webcast. NewTek will be live streaming from Booth SL5016 at NABShow 2018 for three days, in our second annual NDI® Central Live webcast. The webcast will showcase developers and creators using NDI to create and innovate. The webcast will feature exhibitor guest segments, NewTek developer partners, as well as interviews with broadcasters, creators and industry dignitaries who are putting NewTek’s video production technologies to work across a broad range of broadcast and streaming productions. The industry’s continued move toward IP workflows will be highlighted and innovative approaches to video that are made possible with NDI will be explored. This year the show will also be live streaming to NewTek’s HQ and international Facebook pages, via Facebook Live, all day Monday through Wednesday. News and announcements will be posted outside the Facebook Live streaming hours, which are listed below. NewTek’s Twitter and other social media accounts will be posted to on our regular schedule. *Please note that in the event of technical difficulty, NewTek will fall back to streaming to NDICentral.com. Please go to that site if you find that the stream is not live on the other given locations. Please note: NAB can be very hectic, so please be aware that actual starting times may vary. Schedule is tentative and subject to change without notice.